Antares F/6.3 Reducer For Schmidt Cassegrain Telescope. 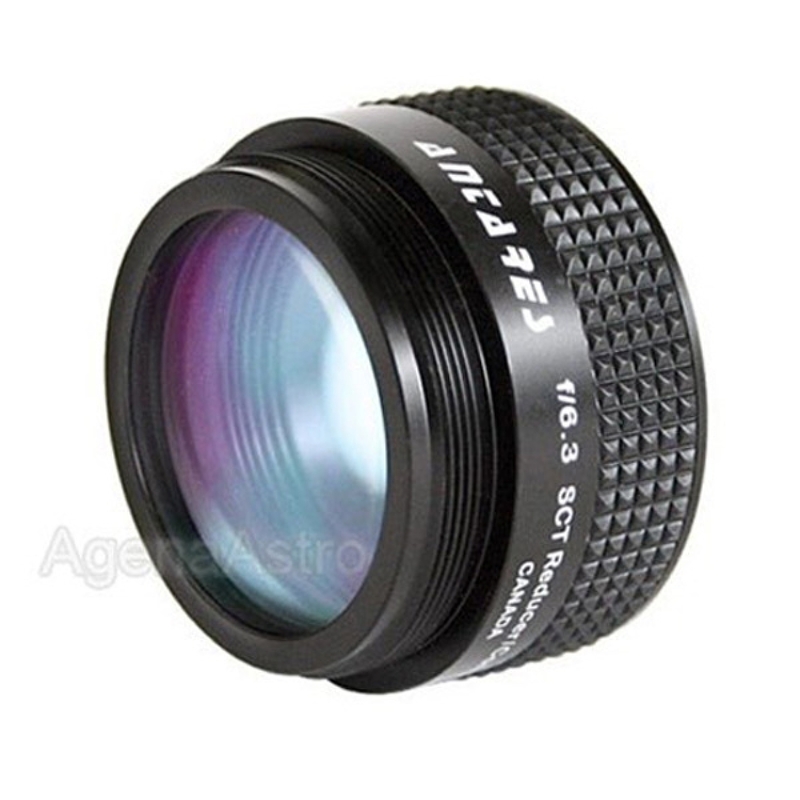 These Are Focal Reducer/Corrector Than Will Reduce The Focal Length Of SCT From F/10 To F/6.3 Providing A Wider Field And Faster Focal Ratio For Imaging (F/6.3 System Is 2.5X Faster Than F/10 System. This Translate Into A 20 Seconds F/6.3 Exposure is Equivalent To 50 Seconds F/10 Exposure In Camera).